When should my child first see a dentist? "First visit by first birthday " sums it up. Your child should visit a pediatric dentist when the first tooth comes in, usually between 6 and 12 months of age. This visit will establish a dental home for your child. Early examination and preventive care will protect your child's smile now and in the future. Why so early? What dental problems could a baby have? The most important reason is to begin a thorough prevention program. Dental problems can begin early. A big concern is Early Childhood Caries (formerly known as baby bottle tooth decay or nursing caries). Once a child's diet includes anything besides breast-milk, erupted teeth are at risk for decay. The earlier the dental visit, the better the chance of preventing dental problems. Children with healthy teeth chew food easily and smile with confidence. Start your child now on a lifetime of good dental habits. How can I prevent tooth decay from nursing or using a bottle? At-will breast-feeding should be avoided after the first primary (baby) teeth begin to erupt and other sources of nutrition have been introduced. Children should not fall asleep with a bottle containing anything other than water. Drinking juice from a bottle should be avoided. Fruit juice should only be offered in a cup with meals or at snack time. Should I worry about thumb and finger sucking? Thumb sucking is perfectly normal for infants; many stop by age 2. Prolonged thumb sucking can create crooked teeth or bite problems. If the habit continues beyond age 3, a professional evaluation is recommended. We will gladly suggest ways to address a prolonged thumb sucking habit. When should I start cleaning my baby's teeth? The sooner the better! Starting at birth, clean your child's gums with a soft infant toothbrush or cloth and water. As soon as the teeth begin to appear, start brushing twice daily using fluoridated toothpaste and a soft, age-appropriate sized toothbrush. Use a "smear" of toothpaste to brush the teeth of a child less than 2 years of age. For the 2-5 year old, dispense a "pea-size" amount of toothpaste and perform or assist your child's tooth brushing. Remember that young children do not have the ability to brush their teeth effectively. Any advice on teething? From 6 months to age 3, your child may have tender gums when teeth erupt. Many children like a clean teething ring, cool spoon or cold wet washcloth. Some parents swear by a chilled ring; others simply rub the baby's gums with a clean finger. What should I do if my child's baby tooth is knocked out? Contact your pediatric dentist as soon as possible. The baby tooth should not be replanted because of the potential for subsequent damage to the developing permanent tooth. What should I do if my child's permanent tooth is knocked out? Find the tooth and rinse it gently in cool water. (Do not scrub or clean it with soap - - use only water!) If possible, replace the tooth in the socket immediately and hold it there with clean gauze or a wash cloth. If you can't put the tooth back in the socket, place the tooth in a clean container with cold milk, saliva or water. Get to the pediatric dental office immediately. (Call the emergency number if it's after hours.) The faster you act, the better your chances of saving the tooth. How often should a child see the dentist? The American Academy of Pediatric Dentistry recommends a dental check-up at least twice a year for most children. Some children need more frequent dental visits because of increased risk of tooth decay, unusual growth patterns or poor oral hygiene. 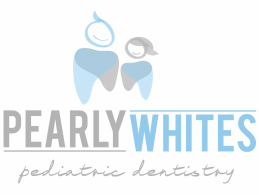 Your pediatric dentist will let you know the best appointment schedule for your child.